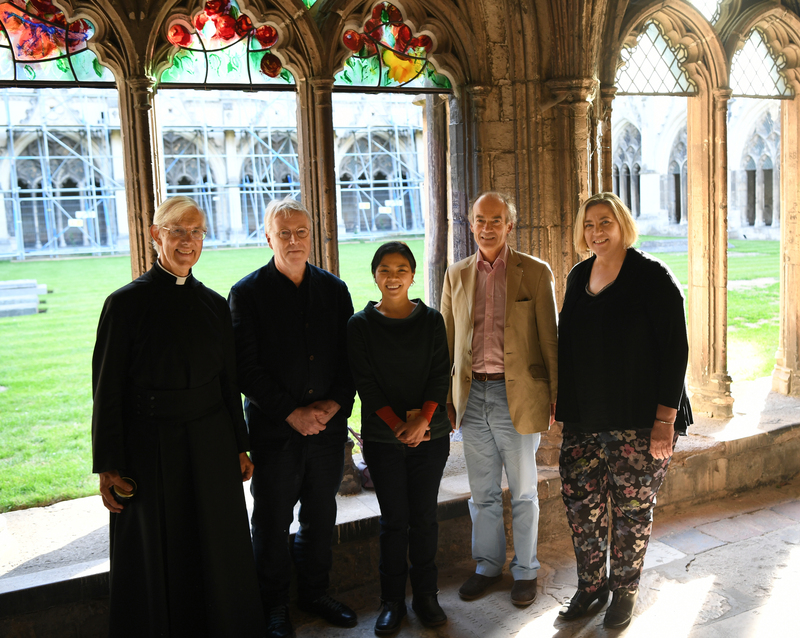 The Damson Tree is in the northern walkway of the Cloister and was commissioned to recognise the huge commitment made to the Cathedral by Richard Oldfield, a trustee of the Canterbury Cathedral Trust and holder of the position of Cathedral Seneschal*. 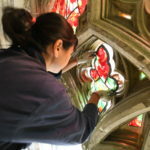 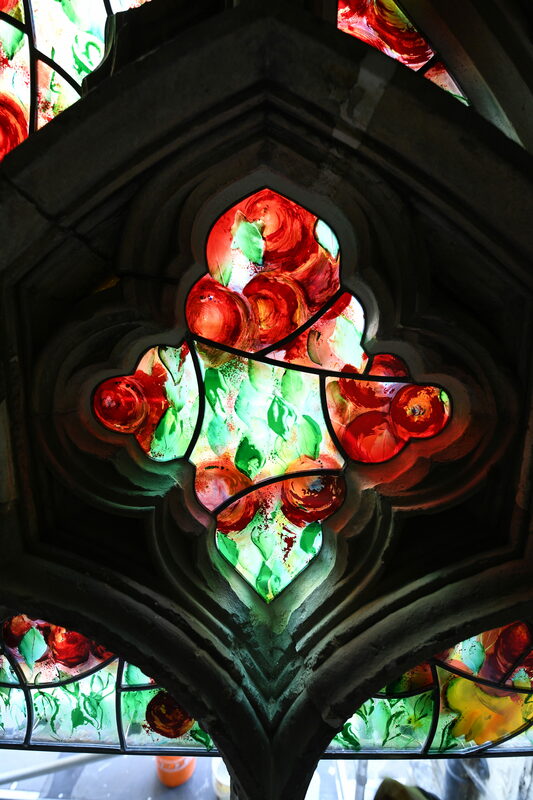 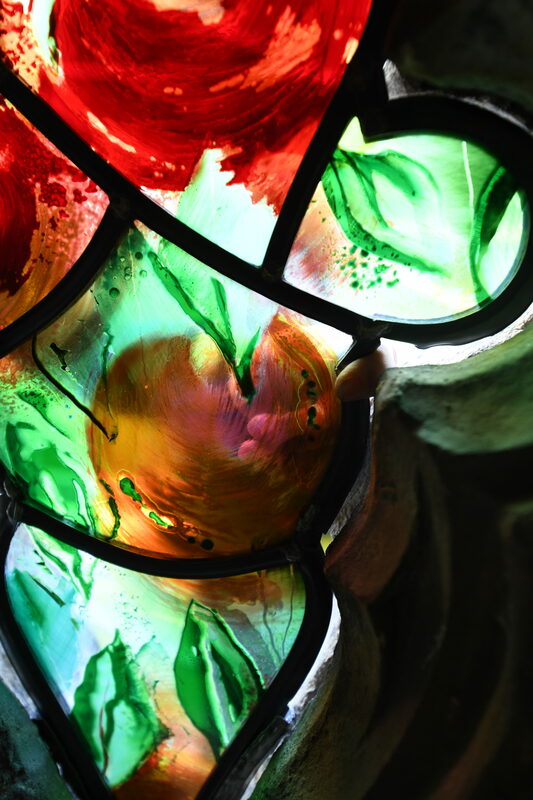 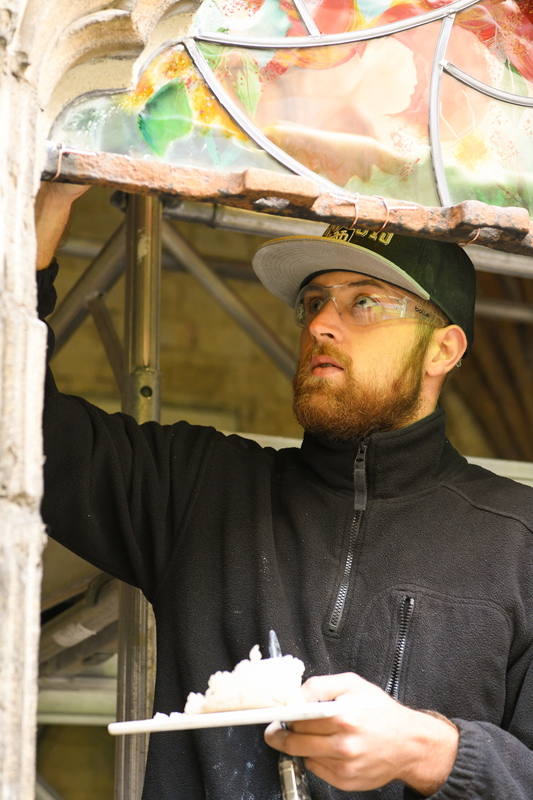 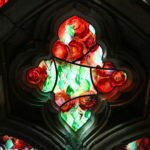 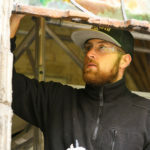 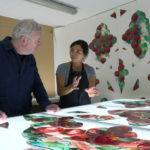 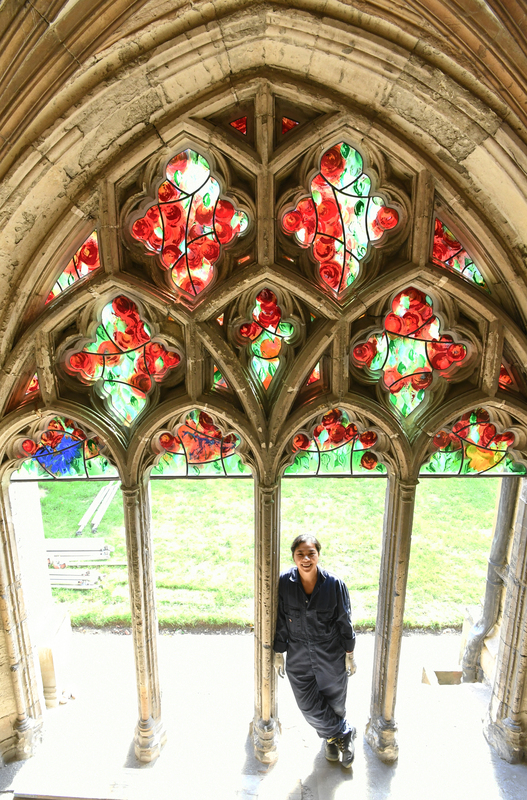 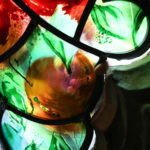 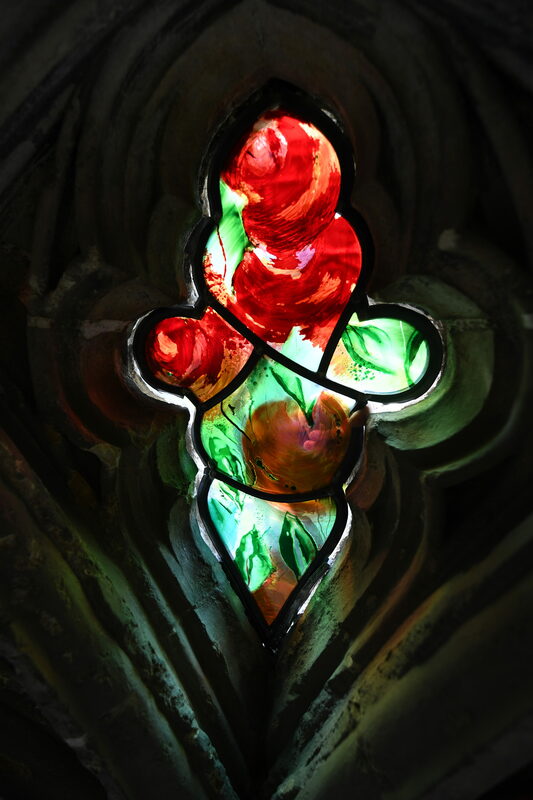 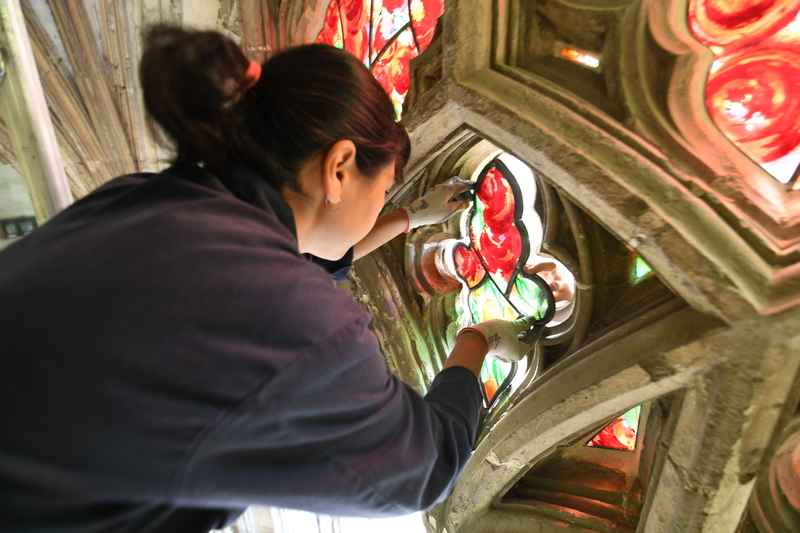 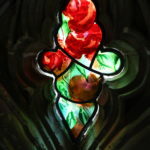 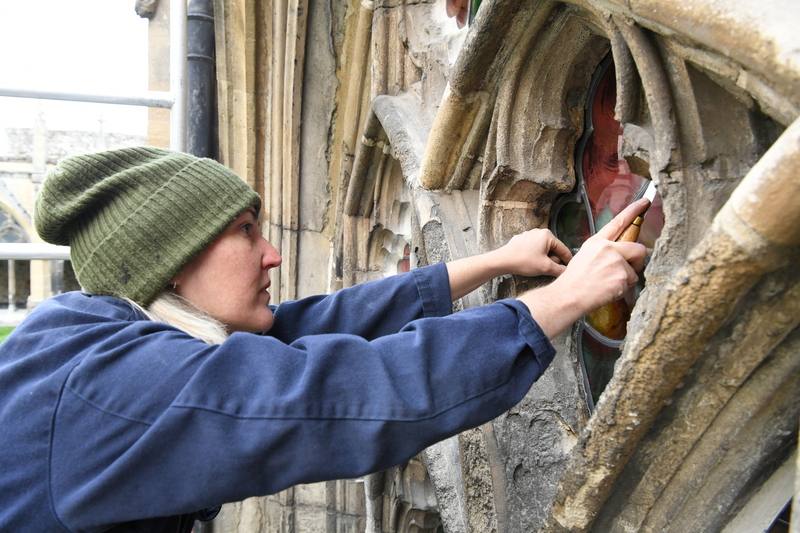 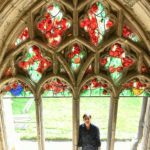 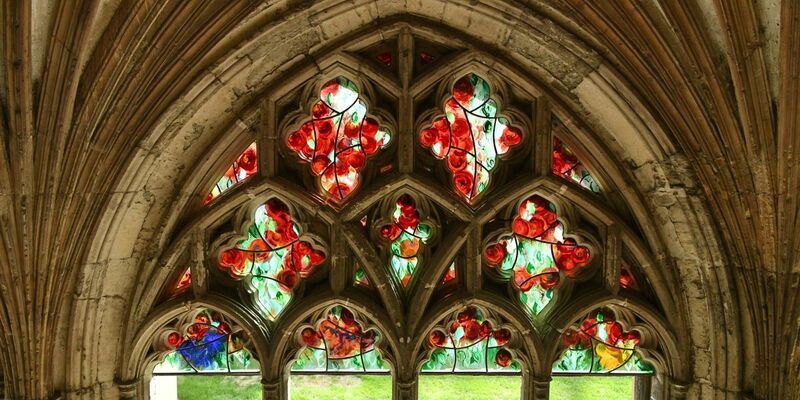 The window was designed by renowned Royal Academy artist Hughie O’Donoghue and created by stained glass conservator Grace Ayson from the Cathedral Studios and joins others in the traceries of the Cloister bays which recognise the support of other benefactors. 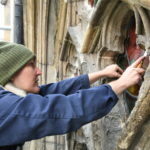 Grace added: “It was a real honour to work with Hughie. 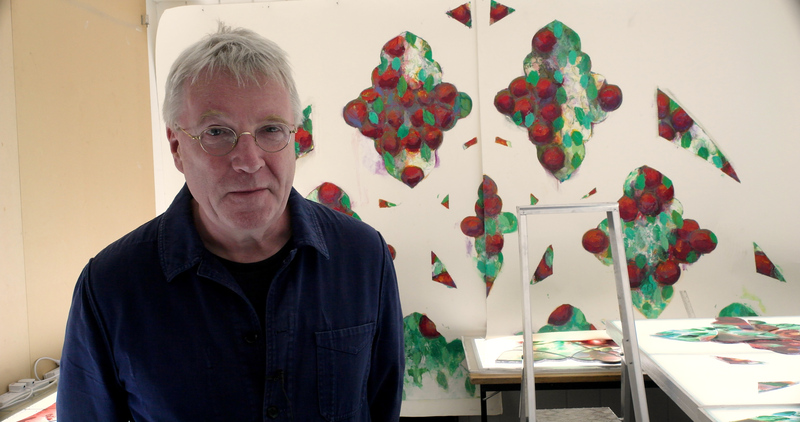 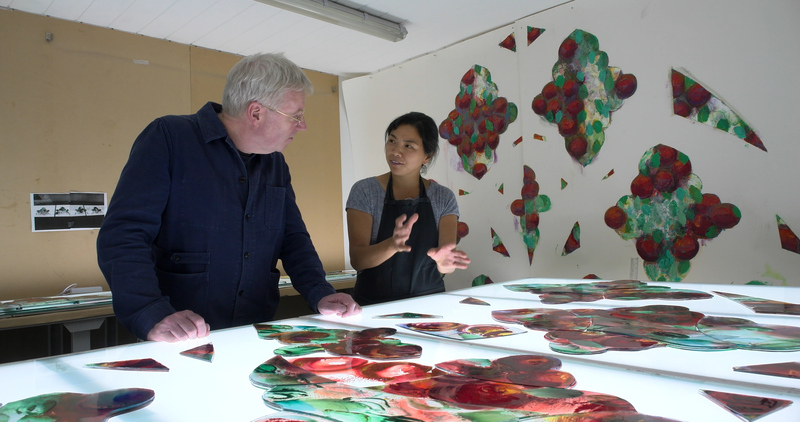 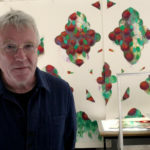 I have been a fan of his work for many years and met him in 1994 when I was a young art student so it was really nice to have the opportunity to work alongside him. 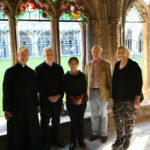 *The Seneschal is an historic post held by a senior lay member of the Cathedral community who gives financial and secular counsel and advice to the Chapter.